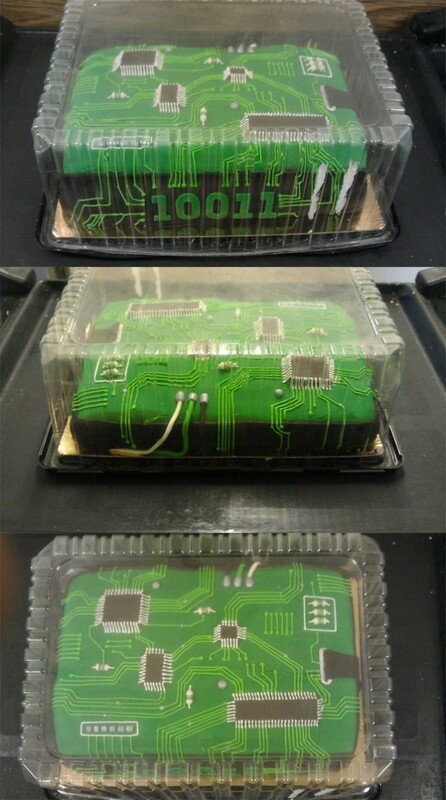 A circuit board cake! I know quite a few people who'd actually enjoy a cake like this one for their birthday!! !